Are you searching for a video slot with bright graphics, smooth gameplay and innovative bonus features? Merlin’s Magic Respins is a great choice, if the answer is yes. This video slot game is developed by NextGen that features 5×3 reel and 50 payline platform for gambling. You can play multi-level superbets and three useful bonus features will help you in hitting the bull’s eye, the 1000x jackpot. 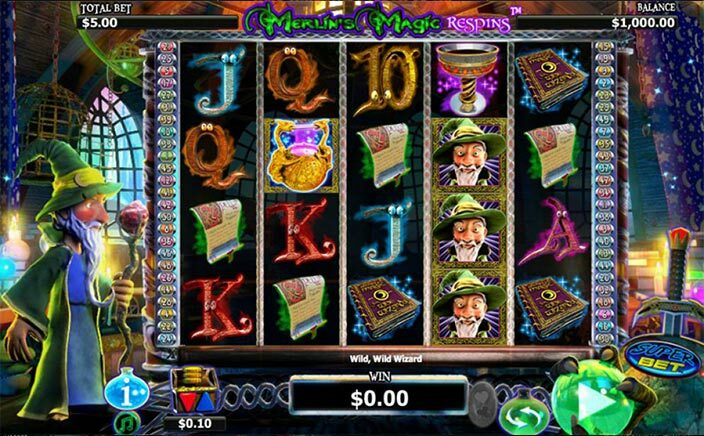 NextGen Gaming has developed this game after huge success of its previous version, known as Merlin’s Millions video slot. This game is again introducing King Author’s magical sidekick that was quite famous among players. Graphics are not quite different from the previous version, but old bonus features are replaced with new features. Merlin’s Magic Respins is playable across all the devices and the graphic quality would be same in all portable devices. You can see Merlin standing on the left side of the slot machine with a stick in hand and waiting for you to start cooking portions. The developers have used 3D style graphics to represent each aspect of the lab in the background that improves players’ interest in the game. The high value symbols are: a spellbook, spell on parchment, golden cup and a telescope. The low value symbols include 10, J, K, Q and A, but these symbols are also used in a fancy way. All in all, the background, graphics and symbols represent a perfect image of Merlin’s laboratory, where your aim is to hit the jackpot. Merlin is the wild and a golden cauldron is the scatter symbol. Players can win 7 free spins by landing on 3 scatters anywhere in the middle reels. You will find the free spin round more impressive because you can land on some stacked wilds too, and Merlin himself appears randomly to replace some symbols into wilds. It will be interesting to see how he helps you in winning a greater amount. Merlin, who is the wild in this game, appears as stacked wild in the middle reels. He can replace all other symbols of the middle reels and if superbet feature is on, the stacked wilds will be same at their position and you can respin other symbols 1-5 times for creating a better combination of symbols. The stacked wilds can land at any reel during the respin and that’s what makes Merlin’s Magic Respins more interesting. The superbet feature is different from previous game because it can reward you more spins in addition to active respins. 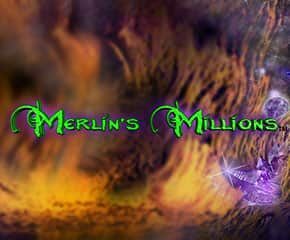 Merlin’s Magic Respins provides enough opportunities to win a bigger amount. You can tap at the gamble button and play a guessing game of cards too to double or quadruple your winnings, or lose it all!